Heat a pan over a medium flame and pour in 2 or 3 tablespoons of oil. 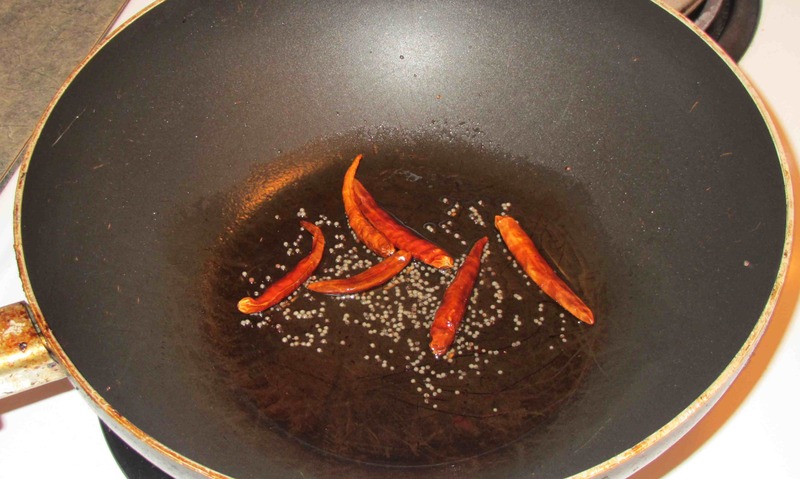 When the oil id hot, add the mustard seeds and, just as they start to pop, throw in the chilies. Let the chilies darken slightly, but don’t let them turn black. 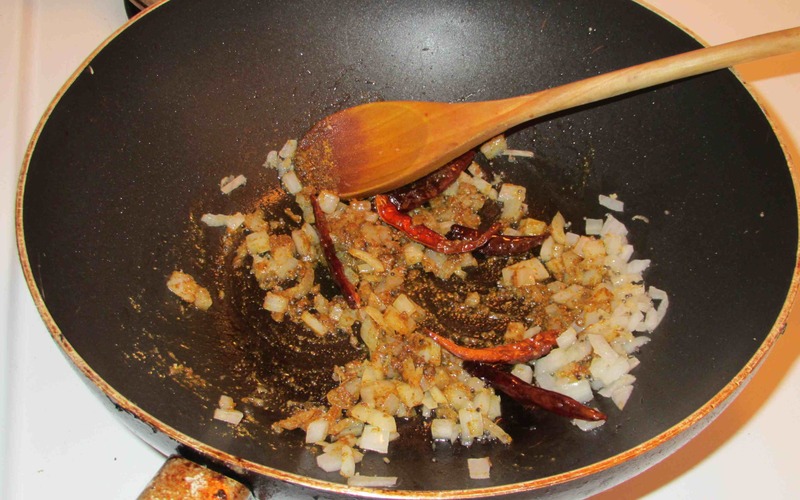 Add the onion and ginger and when the onion gets soft and takes on a little color, stir in the curry powder and the salt. 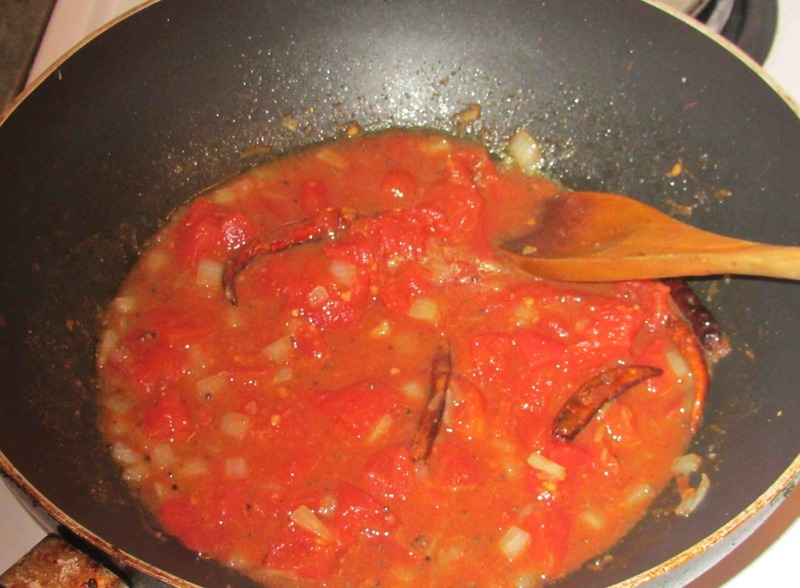 Let the powder cook for a few seconds to get rid of the raw taste and then add the tomatoes. Cook for five minutes or so until the tomatoes are bubbling nicely and just beginning to break down a little. 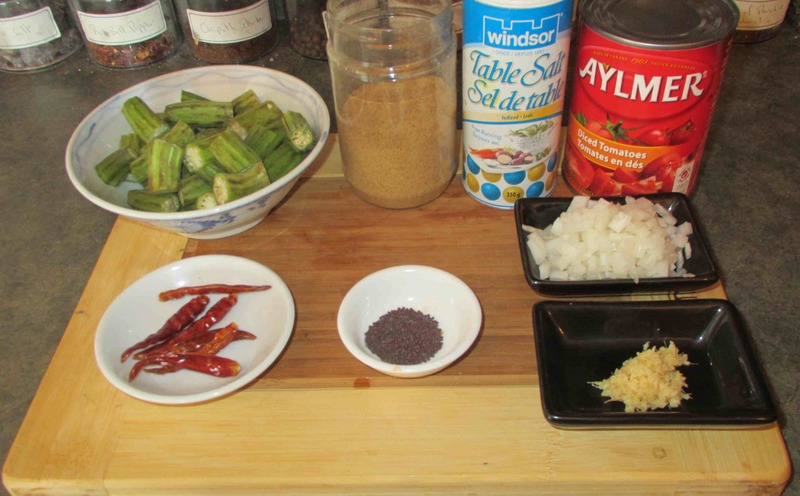 Decrease the heat and add the okra. 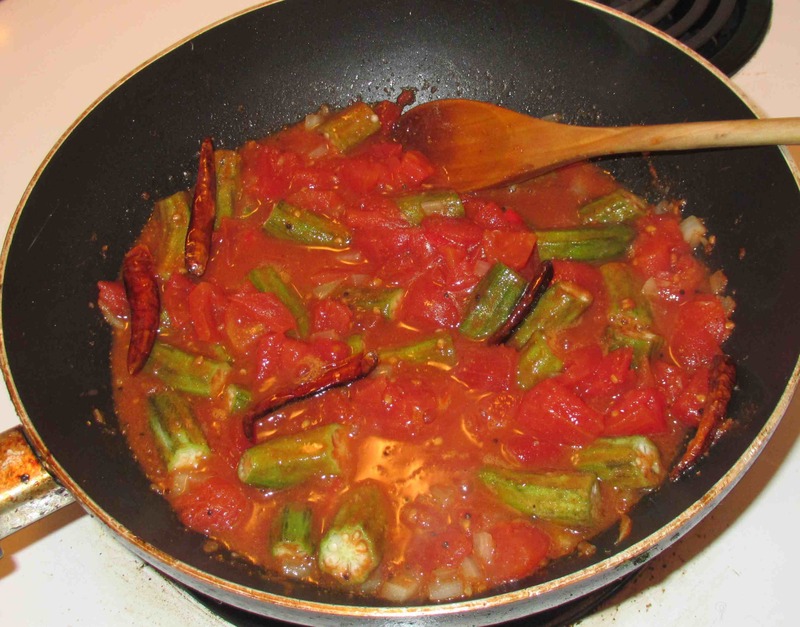 Cook for about 20 – 25 minutes or so until the okra is tender and serve immediately. This was very nice. The okra was very tender and tasty and the little bit of chili heat was pleasant. The mucilaginous quality of the okra that I mentioned in my ‘Foodstuffs’ post was very apparent, whereas it wasn’t in the Jambalaya. It creates a definite slickness in the mouth that some people may not appreciate but I didn’t find it unpleasant at all. I only ate a little of the dish you see pictured above as it was just myself for supper so I will be freezing the rest so my wife can sample it when she returns from her current trip to Prague. Looks delicious..I’ll have to reconsider giving okra a second chance… (not even sure it was okra, I had last time though). It looks wonderful!! 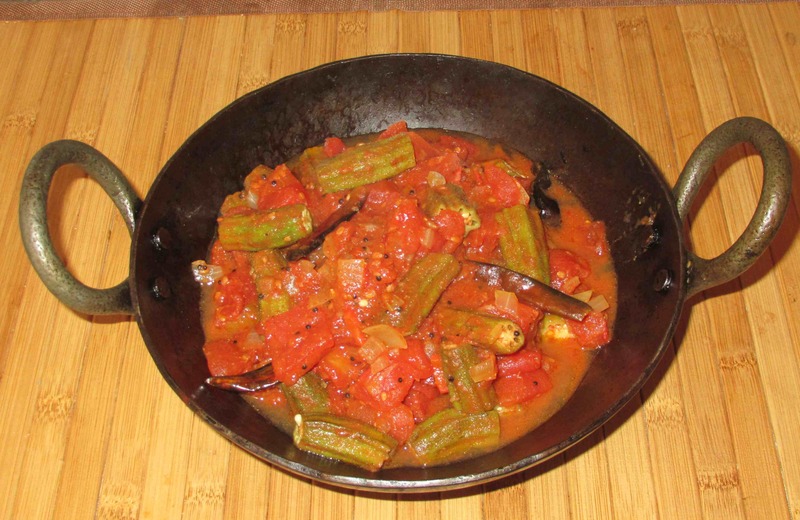 I love okra and tomatoes – they are especially fabulous when both come straight from the garden and although I know that’s impossible for you, still – there’s not much better to eat! From “the wife”: John froze this and hauled it out of the freezer when I got home and served it with a lovely Thali dish. It was AWESOME! I would highly recomment this!